I love your blog. It’s a great reminder to all of us! 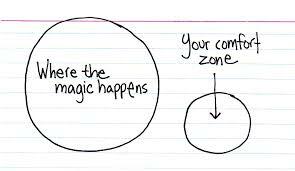 This post reminds me to aspire to my “discomfort zone”, as that’s where the real rainbow ends. Thanks for sharing! Great Share….You are keeping your focus and it is exciting to see.